Whew this was a busy week, but I am not complaining as it’s the good kind of busy! 3 new tours went live this week on Lola’s Blog Tours and I am still working on the fourth one. I don’t really have much to tell this week besides that I did a lot of work and I am happy with the busy weeks. Oh and it seems spring is getting here, yesterday and Friday both were nice sunny days and I’ve had the windows open for a bit. I didn’t got much done besides work. I did manage to try out the orange bars variation on lemon bars and they turned out good, even though it does need a bit tweaking (I added too much orange juice). And I made a quark pie from a store bought package. This was a new supermarket find this week. A few months ago we first discovered this brand and my boyfriend liked the cacao flavour of it, I didn’t like that one as much, but when i saw the orange mango flavour I just had to try it. 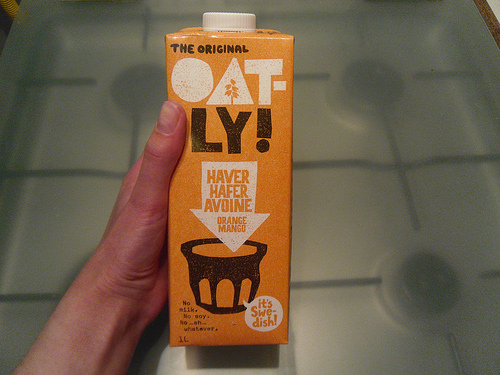 Oatly is a brand of drinks and yogurt products, it looks like milk, but there’s no milk or soy in to, but oats. The first cup I drank was so weird as i tasted unlikely anything else. But it grew on me and now I really like it. It has an unique texture and flavour and the orange mango taste is done nicely, but not overwhelming. It’s apparently by a Swedish company and I saw on their site they sell more products there, but here they only have the drinks in only 2 or 3 of the flavours depending on the supermarket. Do they sell Oatly over there and have you tried it? And if not what’s the strangest thing you ever drank? These were discounted last week in our supermarket, so i bought one and have been slowly making my way through it this week. It’s a brioche type of bread, very soft and sweet. It was some custard and icing on it and it’s really good. Book Blitz: Saven Deception by Siobhan Davis – 30 March till 5 April – new! Book Blitz: The Urban Boys by K.N. Smith – 25 till 29 April – new! Blog Tour: Micah by Lee DuCote – 3 till 16 May – new! 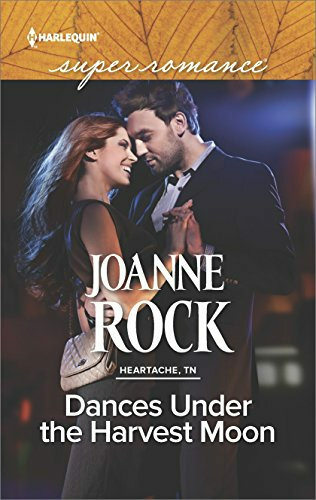 I was so excited to win a copy of this book as I really enjoyed the first two books in this series and I can’t wait to read the third book! My ‘things to do’ list seems to grow on a daily basis and I can’t seem to find time or motivation to get things done! I need to try harder. I hope to finish working in the hall tomorrow-I’ve got a storage space all set up and just need to move all my things into place. At least it LOOKS tidier! Bought some things for the garden but haven’t had the weather to get started yet! It’s mostly work I’ve been busy with, besides that I can’t get around to doing much. I still have two Lola’s Kitchen posts I have to write, but only have the pictures done for so far as I haven’t had time to write the posts yet. I do manage to keep up with the standard household tasks for now. And hey that’s a good thing when things look tidier at least. We had some nice weather this week, so I hope the warmer weather will come your way soon so you can get started on your garden! Busy weeks are good as long as they don’t get too full. I feel like I’m so busy that I never get anything done properly and I hate that feeling. And yay Spring is here too, I love how much brighter and fresher everywhere seems. It’s one of my favourite seasons and I love seeing the days get a little bit longer every single week. This one was a bit too full, but that’s okay. It’s fun to be busy with new tours and after the two slower months I’ve had I am happy with the extra work :). I always like the changings of seasons, especially the start of spring. It’s one of my favourite seasons as well, it’s sunny, but not too warm. Everything seems so much brighter and happier. So glad to hear that your tours are going well Lola! Definitely sounds like it’s been keeping you busy. I haven’t heard of that drink before but we have some pretty strange asian drinks like bubble tea with aloe vera in it and stuff like that! Sounds like you had a delicious week too. Have a lovely week ahead! I had a few slower weeks at the start of the year, so I am happy being busier now :). I am not sure if Oatly is new or if they even sell it outside of Europe, but I wanted to share as it’s really good! I tried bubble tea once while on vacation in Germany and I really liked it! Sounds like you had a great week. I’ve had a good week too, but nothing too exciting. I did enjoy the guest post. Thanks again for letting me share my love of audiobooks. Thanks again for doing the guest post! It was such an informative post and I was happy to have you visit my blog and talk about audiobooks. That’s great you had a good week too! Your Sunday post always makes me so hungry lol. That bread looks yummy. I am a bread girl and love all types of breads. I think that is one thing I could never give up! I should have two more banner requests for you somewhere soon :). The one where I am still waiting for a cover and a new tour got booked today, so I’ll send you the banner request for that as soon as I have everything confirmed. I am so happy with the banner designs you’ve been doing for me, they all look awesome! I also love bread, but I hate baking bread myself. I can’t stand all the waiting, I don’t have patience for that. So I usually just buy something when I feel like it. I also bought a good luxe bread this week which is already gone. I love baked goods with custard fillings! Enjoy your books…I love the look of Secret Baby Scandal. I love custard filling, it’s so good when combined with bread! I’m intrigued by your orange/lemon bars! 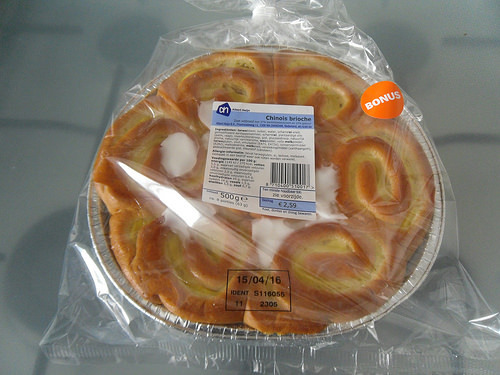 Also we have those Brioche things in some of our supermarkets here! Not a fan though! Have a great week Lola and happy reading! I don’t like the normal brioche, but I did like this one weirdly enough, probably because of the icing. Although it’s more a once in a while thing. I’ll do a recipe post about the lemon bars eventually, they were really good, although the orange variation needs less orange juice next time. As orange is less strong as orange I though adding a bit more juice was a good idea, it wasn’t. But they did taste good. That Oatly looks interesting. I like the packaging- “No milk. No soy. No-eh- whatever.” Kinda funny. I’m not sure what the strangest thing I’ve had is… I did try a flavored water brand once that I really didn’t like. Tasted weird… 🙂 and I’m not a huge fan of milk either. Will watch for your re- reading books post. Good topic! I really liked their packaging too, it’s funny! It has a very unique flavour, but really good. I tried one of those vitamin waters once, they weren’t too bad, but I rather have water instead or something with more flavour. I like milk, I always drink half a cup during dinner and eat cocopops with milk in the mornings. It sounds like your tour are going well, Lola. Great news:) I’m big on rereading books I really enjoyed. When I can’t decide which book to read next, I reach for an old favorite. Yes I am really happy the tours are going well. I like re-reading, but hardly ever take time for it. It was a fun post to write. That’s great that the blog tours are going so well! I’m considering the Urban Boys one, but I’m not sure after reading the excerpt. The POV was confusing to me. That oat drink looks interesting, and so does that bread, though I don’t think I’ve ever had brioche. Keep enjoying the great weather and have a great week! It’s been fun to have so many tours to work on! I drank all the oatly, it was really good. Too bad my standard supermarket doesn’t sell this flavour. Brioche is very soft, fluffy and sweet bread it’s pretty good. Hmm, the Oatly sounds interesting. I might try it if we have it around my house. Looks like you’ve had a busy week. 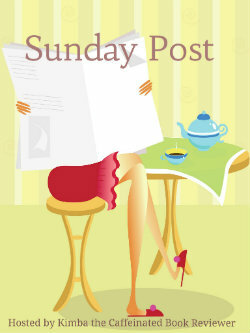 You can check out my Sunday Post in the link below! I hope they sell oatly where you live as well. I thought the oatly was really good! Congrats on all the tours you having going! That’s great; I’m glad all is going well. I do like trying new things, so that’s awesome you are liking the taste of the drink. I wish you could try more of the flavors! That bread looks fantastic. Yes it’s been nice to have so many new tours these weeks :). I also like trying new things, although I don’t do it as often as I would like. I am glad I gave oatly a try and I hope I can try out the other flavours as well one day. Normally I am really boring too, water, milk and different flavours of tea. So it was nice to try something different for a chance. And yes the busy weeks are the good ones, as long as they don’t get too busy or you’re busy for too long. And weekends are work days for me too, so not much different from any other days although the Saturdays are usually a bit slower, which is nice. Very busy, but that’s good. Sorry I didn’t pop in this week. For some reason I didn’t get the last few posts in my email and thought maybe you were on a break or something. Guess I should have checked. Your drink find sounds good. We don’t have that here. Your brioche bread also looks good. I’ve only had French toast made that way. Yay, you won the third Heartache, TN book. Look forward to your thoughts on it. I want to read that one, too. Which way do you follow my blog? By e-mail? I am subscribed to my own blog, but can’t remember if I received the e-mails or not. I hope it’s working normally again. I already drank all the oatly, it was really good! I hope I can buy it again soon. I was so excited to win the third heartache book! I was planning on buying it eventually, but hadn’t gotten around to doing that yet, so it was awesome to win the giveaway and now have the paperback. I hope I can read it soon! Hmm I wonder why. It’s good to know it’s working again though, so I guess that whatever it was got solved. I never heard of oat drinks before. Here I’ve seen rice, soy, coconut, almond and oat in our supermarkets. I don’t think I have ever seen cashew and quinoa. I am curious how that cashew drink tastes. I’ve never seen Oatly around here, but I’d love to try some. Have a great week, Lola. I hope they will eventually sell it over there as well! It’s really good! It’s Swedish, so I guess it would make sense they sell it in Europe first, but maybe it goes to the US eventually as well! This was the first time I heard of oat based diary before either, until we found oatly. I like chocolate, but for some reason chocolate flavoured drinks aren’t my thing. That brioche looks divine, you seriously have some amazing food over there!!! The brioche was pretty good! I’ve not seen Oatly in my market but I’ll look for it next week. I think the strangest thing I’ve drunk would be almond milk…but I’m used to it now. We’ve been having warmer temps here but the last few days it cooled off…and it’s snowing today! Again, I apologize for not stopping by recently and I do hope you’ve had a lovely week! I am sorry to hear about your migraine! Migraines are the worst. I hope you’ll all enjoy the extra downtime during spring break. This week continues in much of the same fashion as the previous one for me, but it slowed down a tiny bit so it stayed at manageable busy level, which is nice. I’ve tried soy milk, but wasn’t a fan of that and coconut milk, but I mostly use that in curries. I think I also tried almond milk, but not 100% sure. I bought a package of the standard flavour of oatly this week and am looking forward to try it out. It was chillier here this week as well, we had some pretty days, but since Wednesday the temps went down a bit again. And no need to apologize for not stopping by, I’ve been a bad friend and haven’t had any time to stop by your blog either. It’s a shame how being busy always cuts into my blog visiting time first.